It’s been another slow year for potash due to low prices, oversupply and farmers pinching pennies. That said, quite a few ASX-listed companies are still exploring for potash, both in Australia and in other parts of the world. To help those interested in the space learn which ASX-listed potash stocks are out there, we’ve put together a brief list. All companies included had market caps of over $25 million as of December 19, 2017. Read on to learn more about these potash-focused companies — and if we missed an ASX-listed potash stock with a market cap above $25 million, please let us know in the comments. Agrimin owns the large-scale Mackay sulfate of potash (SOP) project, which is located on a Western Australian salt lake and covers 2,560 square kilometers. According to the company, Mackay holds the largest-known brine-hosted SOP resource in the world. A scoping study for the project was released in August 2016, and in July of this year Agrimin reported that a prefeasibility study for Mackay was scheduled for completion in Q4 2017. In October, Agrimin released its latest SOP project fieldwork update. The release states that there was “significant brine inflow observed” and that 12 pilot trenches had been excavated thus far. The Lake Wells potash project in Western Australia is Australian Potash’s main asset, though the company also holds a number of gold and base metals projects. At Lake Wells, the company is exploring for SOP, and is targeting domestic demand from Australian farmers. Next on our list of ASX-listed potash stocks is BCI Minerals. BCI Minerals is a new entrant to the potash space. Formerly focused on iron ore assets in Western Australia’s Pilbara region, the company announced in March that it will be able to earn up to a 50-percent stake in Kalium Lakes’ (ASK:KLL) Western Australia-based Carnegie potash project by funding exploration and development costs up to the completion of a feasibility study. Since then, the company has earned its first 15-percent stake in the project. In December 2017, the company changed its name from BC Iron to BCI Minerals. Its stock symbol remained unchanged. BHP Billiton is a well-known global mining giant. It is an Australian-American company with assets in oil and gas, and an array of minerals, including potash. Since 2010, BHP Billiton has been investing in the Jansen potash project in Saskatchewan, and has been slowly developing the site. However, in August of this year, BHP said it would not ask its board for project approval in 2018. BHP explained at the time that it is waiting for a better “market window” in order to get the most value possible. Danakali, formerly South Boulder Mines, is another ASX-listed potash stock. Its focus is on developing the Colluli potash project in Eritrea, which is wholly owned by Colluli Mining Share Company (CMSC). CMSC is a 50/50 joint venture between Danakali and Eritrean National Mining Company. With a resource estimate of 1.289 billion tonnes at 11 percent K20 for contained SOP of 260 million tonnes, the company believes Colluli is a world-class project. Danakali expects the project to produce about 425,000 tonnes per year of premium SOP product during its first phase of production; commissioning for Phase 1 is currently targeted for Q4 2018, and Phase 2 production is set to start in the project’s sixth year. In a December update, the company said it continues to achieve project milestones, noting that Colluli is fully permitted and that offtake discussions are well progressed. Known mainly for its lithium production, mining and chemicals, Galaxy Resources operates the Sal de Vida project in Argentina. Sal de Vida has a measured and indicated potash resource of 16,071,000 tonnes and an inferred resource of 12,762,000 tonnes. In April, the ASX-listed company announced that production well drilling had commenced at Sal de Vida; its environmental permit was renewed as well. In June, Galaxy released its half-year financial report. This release cites the completion of two drill holes, as well as pump tests that yielded “encouraging results, with continuous bring flow rates of more than 25 litres per second.” Galaxy also stated that it had commenced development work for production wells, and said that once topographic surveys are completed the evaporation pond’s location will be finalized. Highfield Resources has five projects that cover 550 square kilometers in Northern Spain’s Ebro potash-producing basin. The ASX-listed potash stock completed a definitive feasibility study for its Muga project in 2015, and plans to begin construction at the project once it receives all approvals. Highfield has also been completing exploration work at its Pintanos and Sierra del Perdon potash projects. In its latest quarterly activities report, released in October, the company said it has begun the voluntary public consultation process for Muga. As mentioned above, Kalium Lakes recently signed an agreement to allow BCI Minerals to earn up to a 50-percent stake in its Carnegie potash project. In addition to that project, it holds the Beyondie potash project, also located in Western Australia; at that project, Kalium is aiming to produce SOP for foreign and domestic sale. In October, the ASX-listed potash stock released a prefeasibility study and maiden ore reserve for Beyondie. In a November update, Kalium Lakes said that it has begun work on a bankable feasibility study for Beyondie, and is also completing a list of other tasks at the site. “Kalium Lakes is set to move rapidly though the next development phases of the project and deliver its near-term goal of becoming the first Australian SOP producer,” Managing Director Brett Hazelden said at the time. 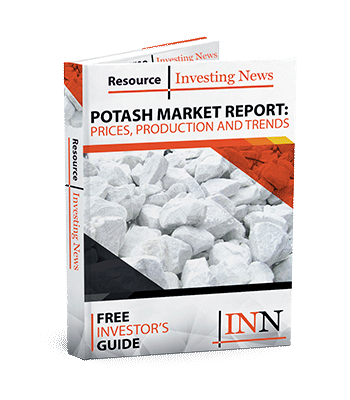 Kazakhstan Potash holds potash, gold, nickel and copper deposits, but is primarily focused on its Zhilyanskoye and Chelkar potash projects in Kazakhstan. It also signed a purchase agreement regarding the acquisition of the Satimola potash deposit in the country in November 2015. The ASX-listed company has not released any news recently, but in September 2016 it announced a framework agreement with a national rail operator that would look to integrate the transportation requirements of its potash projects. Kore Potash’s primary asset is its 97-percent-owned Sintoukola potash permit, located on the coast of the Democratic Republic of Congo. The permitted area has been broken up into three target areas: the Kola deposit, the Dougou deposit and the Dougou extension. In April, the ASX-listed potash company announced the successful completion of the three drill holes at Kola. By December 2017, Kore had released high-grade assay results for Kola. The results show “outstanding intersections of EK_53 and EK_54 with 61.9 and 60.0% of KCI over a thickness of 2.22 and 3.26 m.” The Dougou extension has been placed on hold and the company has decided to dedicate its resources to Kola. Like Galaxy, Orocobre is best known for its lithium operations, which are located in Argentina. However, the ASX-listed company also holds substantial potash and boron facilities — its flagship property is Salar de Olaroz, which contains both lithium and potash brines. Olaroz has an estimated measured and indicated resource of 1,752 million cubic meters of brine at 690 mg/L lithium, 5,730 mg/L potassium and 1,050 mg/L boron — that’s equivalent to 6.4 million tonnes of lithium carbonate and 19.3 million tonnes of potash. Orocobre has no plans for its potash resource. Reward Minerals has multiple advanced potash exploration projects in Australia. However, its primary focus is its Lake Disappointment project in the country. As of February, the project was estimated to have an in situ mineral resource of 596 million tonnes of SOP and a drainable resource of 153 million tonnes of SOP in brine. The ASX-listed potash company’s other projects include Karly, which covers the Waukarlycarly embayment, as well as Lake Dora, Lake Winifred and Lake Auld. The company appointed a new CEO, Greg Cochran, in December 2017. Salt Lake Potash is a mineral exploration company that is focused on its potash assets in Australia. The company’s Goldfields Salt Lakes SOP project includes nine salt lakes that cover over 4,750 square kilometers. It is located in Western Australia’s Northern Goldfields region, and most work has focused on the Lake Wells area of the project. In April 2017, Salt Lake Potash was looking at building a SOP pilot plant for Goldfields Salt Lakes. Later, in September, the company announced “excellent results” from SOP process development testwork on material from Goldfields Salt Lakes. The company announced further favorable results from Goldfields Salt Lakes in December, with brine samples averaging 15km/m3 of sulphate of potash equivalent. This is an updated version of an article first published by the Investing News Network in September 2015. Editorial Disclosure: Danakali is a client of the Investing News Network. This article is not paid-for content. FYI Resources is a Potash player flying well under the radar.